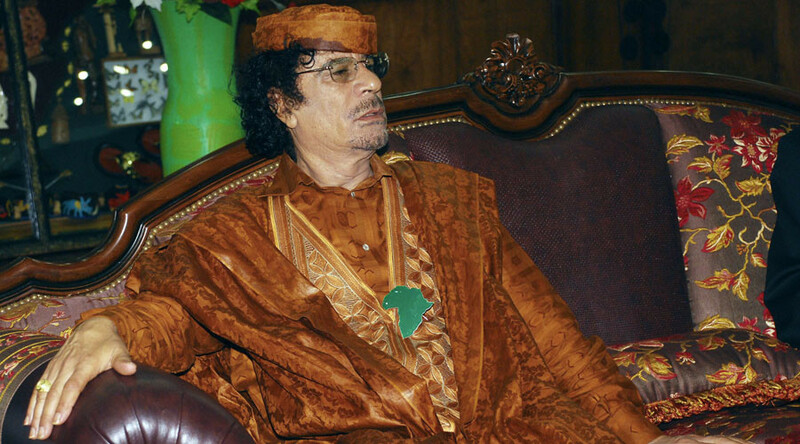 An Afghanistan war veteran who drunkenly bit off part of a man’s ear while dressed as the late-Libyan leader Muammar Gaddafi now faces jail time. Geraint Jones, 25, attacked his victim after hours of drinking in pubs around Aberystwyth, where he is studying history. His victim, Gwyant Jones, lost the lower part of his ear in the attack. His assailant acknowledged in court Wednesday to carrying out the attack. “When I approached him, my intention was to bite his ear. It’s a horrible thing to do but it was not my intention to bite it off. My intention was to bite his ear in order to shock him,” the former serviceman said. The victim told the court that all he could recall was “being at the bar and then suddenly feeling a lot of pain. The severed section of the ear was recovered but could not be re-attached, the court heard. Sentencing will take place at Swansea Crown Court in March.